We offer quality ponies and small horses for Birthday Parties, Corporate Events, Family Gatherings or any other occasion that would enjoy a unique, fun way to entertain their guests. Our ponies are hand-picked for a kind, quiet temperament, and are of a very high quality. They are used to being around all kinds of "commotion" and are very well-behaved and sociable. Even better they look great in photos! When our ponies attend a function, they are accompanied by adult handlers, to ensure the best possible service to your guests. In summary, we offer a high quality product, a superior level of service, all while doing something we really enjoy: spending time with our ponies and children who just light up when we arrive for their pony rides! 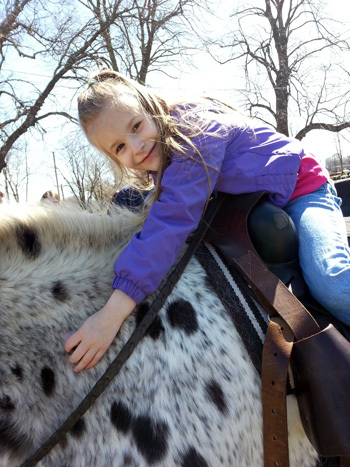 For birthdays, or any special life event, pony rides bring a smile to everyone's face. Our ponies travel to you!! Pricing varies depending on how many ponies you need, based upon guest number, your location, and time spent at your event. Whether old or young, we hand pick our ponies to match your needs. Call Ponies to Go today to book, and then get your cameras ready to capture all the fun!! 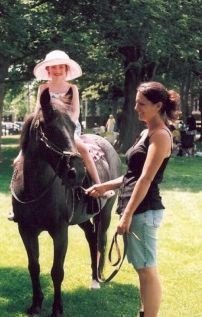 Ponies to Go also offers Summer Camps and Riding Lessons. 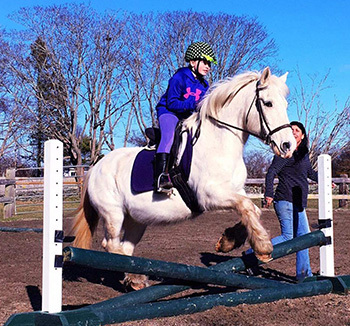 Summer Camps and Riding Lessons at our beautiful farm in Middletown, RI. Our pastoral setting is the perfect summer camp for your kids. 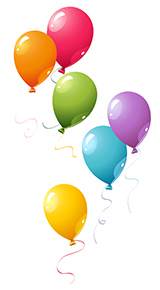 We cater to all levels-Beginner, Intermediate and Advanced. We offer a full horse farm experience, from the care of our ponies, to riding instruction, as well as other topics from our guest speakers. Come learn with us and enjoy our farm! Our riding lessons are conducted at our farm by appointment. 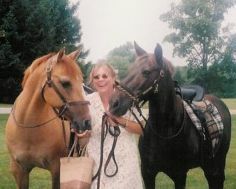 We cater to beginner riders with little or no horseback riding experience. Our wonderful ponies make your learning experience fun and easy! More experienced riders are welcome, and we gear your lessons to your riding ability. Call for an appointment soon!